Why do we study social networks? Definition from: http://en.wikipedia.org/wiki/Social_network: A social network is a social structure made up of a set of social actors (such as individuals or organizations) and a set of the dyadic ties between these actors. Social networks and the analysis of them is an inherently interdisciplinary academic field which emerged from social psychology, sociology, statistics, and graph theory. From http://en.wikipedia.org/wiki/Sociometry: “Sociometric explorations reveal the hidden structures that give a group its form: the alliances, the subgroups, the hidden beliefs, the forbidden agendas, the ideological agreements, the ‘stars’ of the show”. In social networks (like Facebook and Twitter), sociometry can help us understand the diffusion of information and how word-of-mouth works (virality). 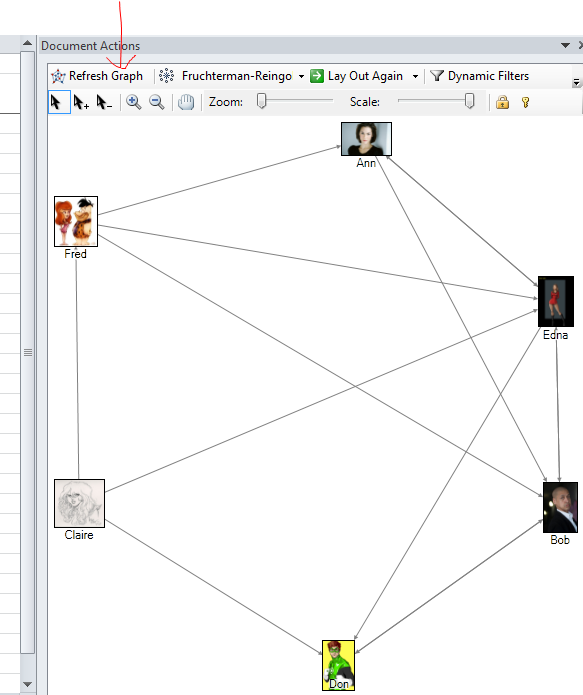 Because trust is not automatically reciprocated (Ann trusting Bob does not necessarily mean that Bob trusts Ann), the graph that we will build will be directed. 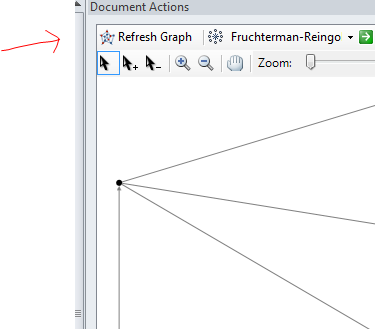 A directed graph implies that the edges (links) between two vertices (in our example, people) have a direction: A B. An example of a directional graph is Twitter. In Twitter, you can follow a person that does not follow you and vice-versa. In an undirected graph, the edge is reciprocated. This means that, if you have a connection to a person, this person has the same connection towards you. An example of an undirected graph is Facebook: if A is a friend of B then, automatically, B is a friend of A. 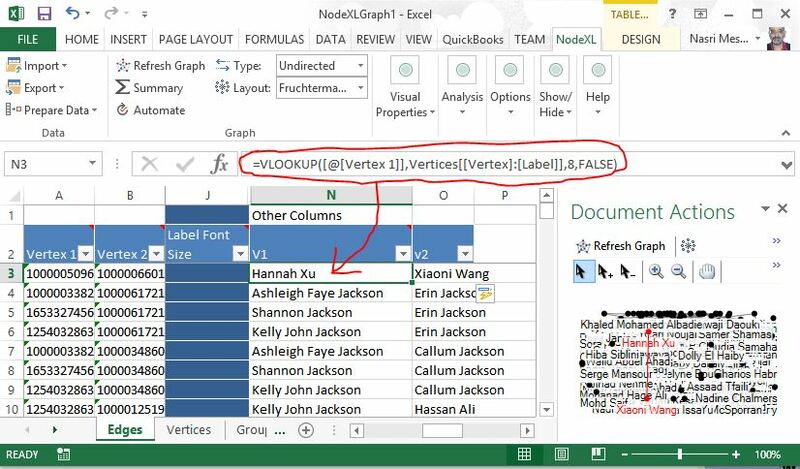 Go to the edges sheet and enter the name of the trusting person in the Vertex 1 column and the name of the trusted person in Vertex 2. 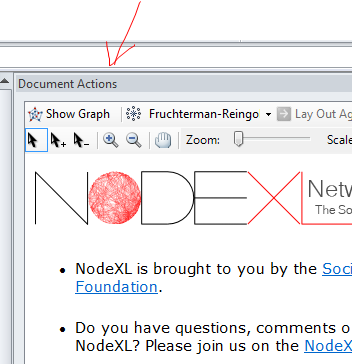 On the new NodeXL tab, define the graph as “directed”. In degree: most trusted person (Edna, Bob). It is a count for the number of “arrows” that link to the person (people who trust the vertex). Out degree: most trustful (Edna, Fred, Claire). It is a count for the number of “arrows” that go out from this person (how many people are trusted by the vertex). Betweeness centrality (Centralité d’intermédiarité) : A high number means that the person is in a central position in the graph. 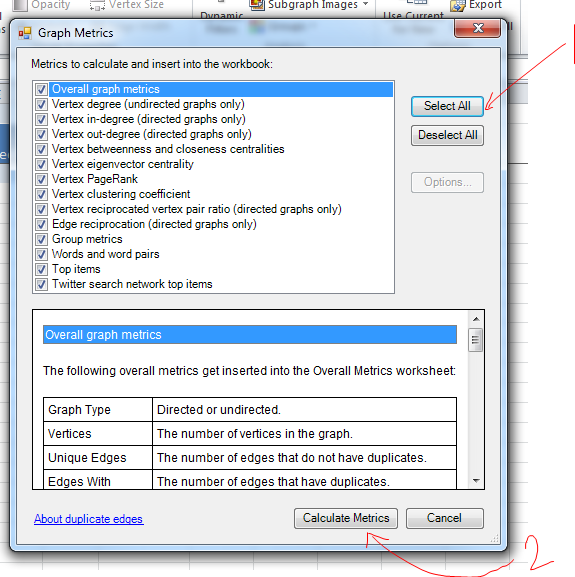 This metrics is based on the shortest paths between all people in the graph. 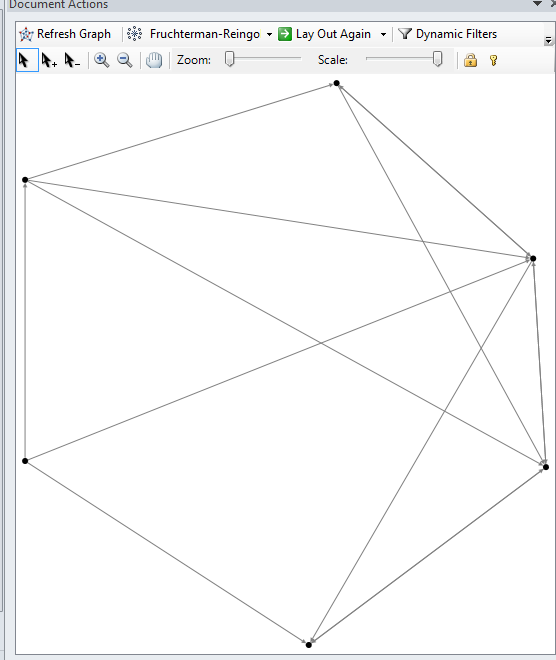 It measures how important a node is by counting the number of shortest paths that it is a part of. how many pairs of individuals would have to go through the vertex in order to reach one another in the minimum number of hops? Closeness Centrality (Centralité de proximité) : who has faster access to information (in case of information diffusion). This number is an evaluation of the average distance to all nodes in the network. What if it is not so important to have many direct friends? or be “between” others. Yet, one still wants to be in the “middle” of things, not too far from the center. Eigenvector Centrality (Centralité vectorielle) : Eigenvector centrality calculates the position of a node to all other nodes in the network by giving a weight based on the distance (La centralité vectorielle essaie de mesurer l’importante ou l’influence d’un nœud dans le réseau en donnant un poids relatif à chaque lien du réseau. L’idée étant que la centralité d’un nœud est égale à la centralité des liens auxquels il est rattaché. à on tient compte de l’importance des liens auquel il est attaché). It is different from betweeness centrality in the sense that it considers all paths between nodes, not only the shortest one. Eigenvector Centrality measures the importance of a node by the importance of its neighbors. 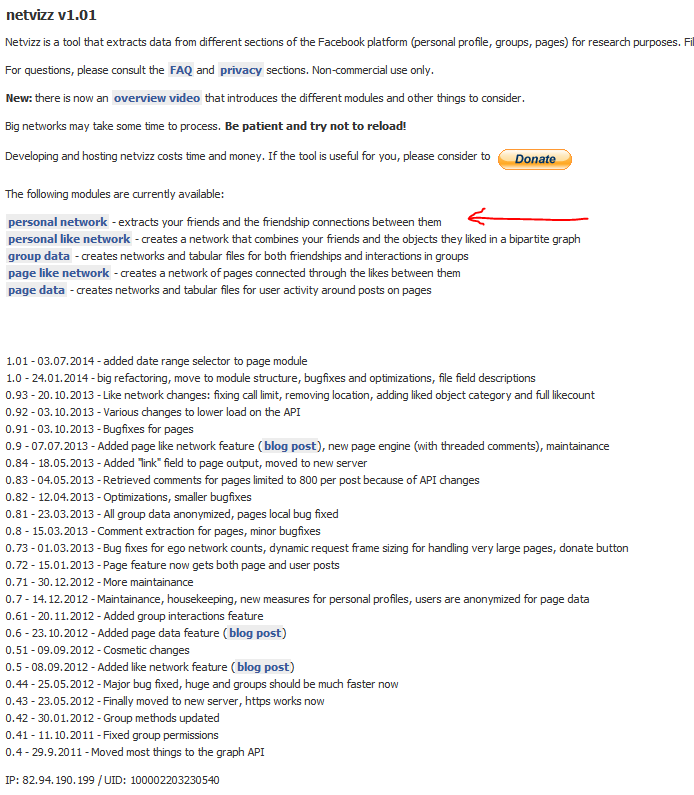 Centralité de Katz and page rank: Alors que le degré de centralité mesure le nombre de liens adjacents, la centralité de Katz mesure tous les nœuds qui peuvent être connectés à travers un chemin en pénalisant les nœuds distants. Katz and Page Rank Centrality are a median solution between degree centrality (shortest paths) and eigenvector centrality (all paths) as they measure the number of all nodes that can be connected through a path, while the contributions of distant nodes are penalized. Clustering coefficient : The clustering coefficient is a measure of an “all-my-friends-know-each-other” property. If the value of the Clustering Coefficient is equal to 1, this means that each of my friends is friend with all the others. 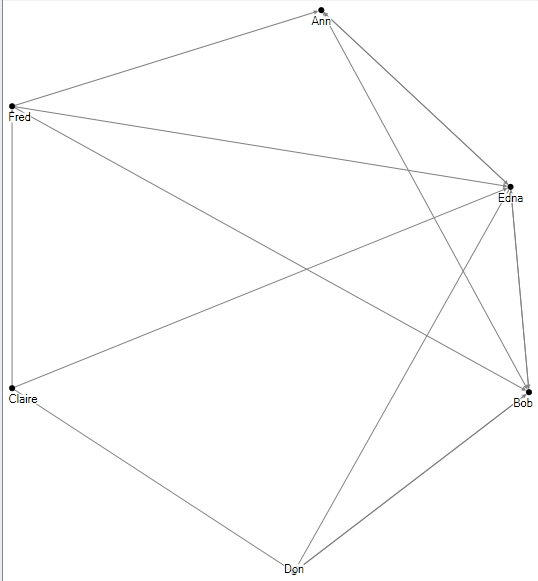 Reciprocated vertex pair ratio: reciprocated vertex pair ratio: ratio between ingoing and outgoing connections (only valid in directed graphs). 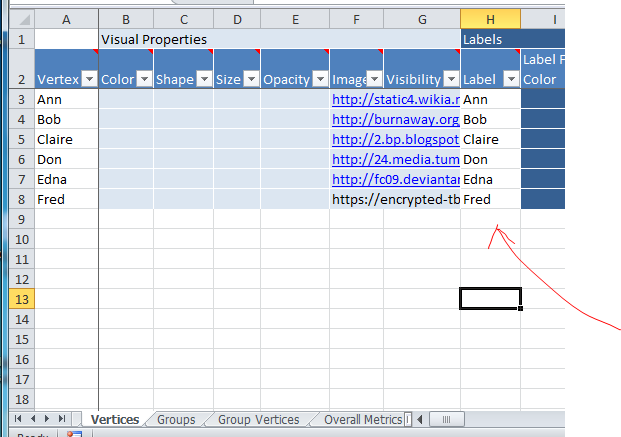 This is a small conversion tool I have developed to convert NetVizz files (GDF) to NodeXL files (GraphML). This tool works on all versions of Windows and has been tested with the “personal network” friends list extraction option in NetVizz. 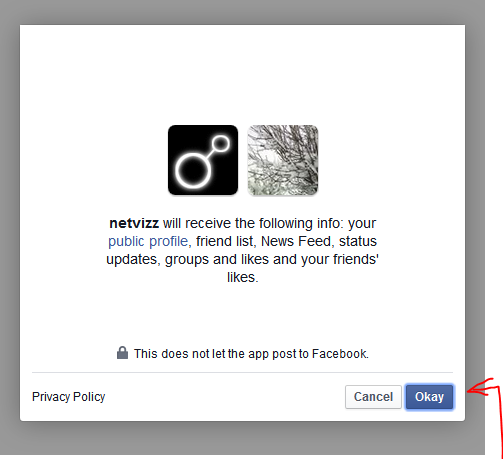 NetVizz is a free Facebook App located at https://apps.facebook.com/netvizz/. 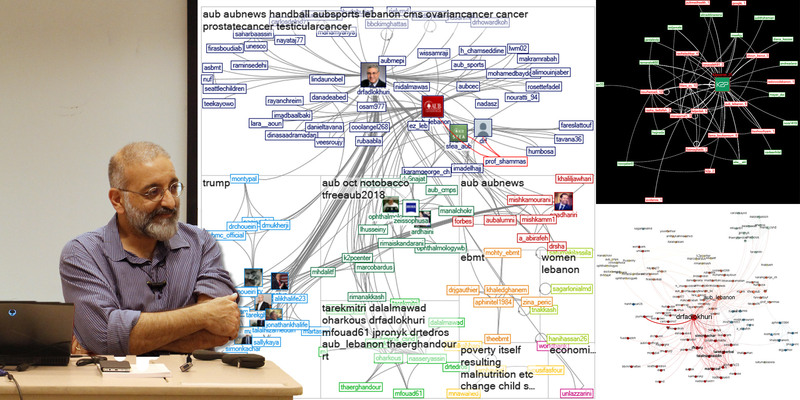 NetVizz extracts Facebook data from personal timelines and pages. 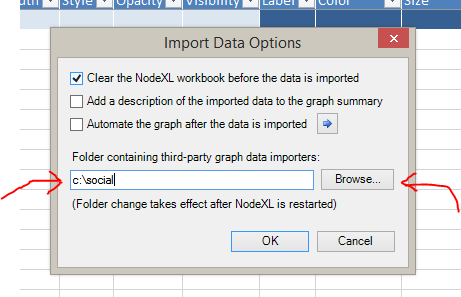 NodeXL is a free, open-source template for Microsoft® Excel® 2007, 2010 and 2013 that makes it easy to explore network graphs. 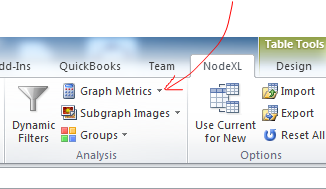 It can be downloaded from nodexl.codeplex.com. 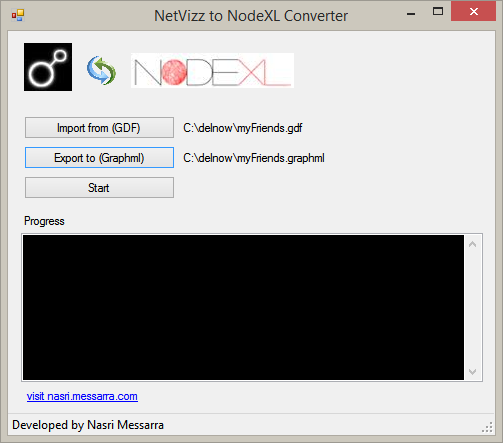 NetVizz (GDF) to NodeXL (GraphML) is freeware.